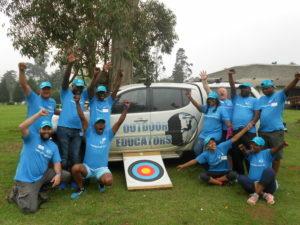 Outdoor Educators is based at Cumberland Nature Reserve, near Pietermaritzburg in KZN and has been helping clients with the developing of human resources through team building and other learning programs since 2002. 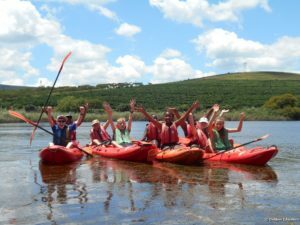 We use practical, fun and adventure related activities with positive experiences as their “educational/ training tools” and while having fun their clients also have the opportunity to learn valuable lessons through the process of experiential learning and to grow closer to each other. “Learning through experience”… Our logo says it all. 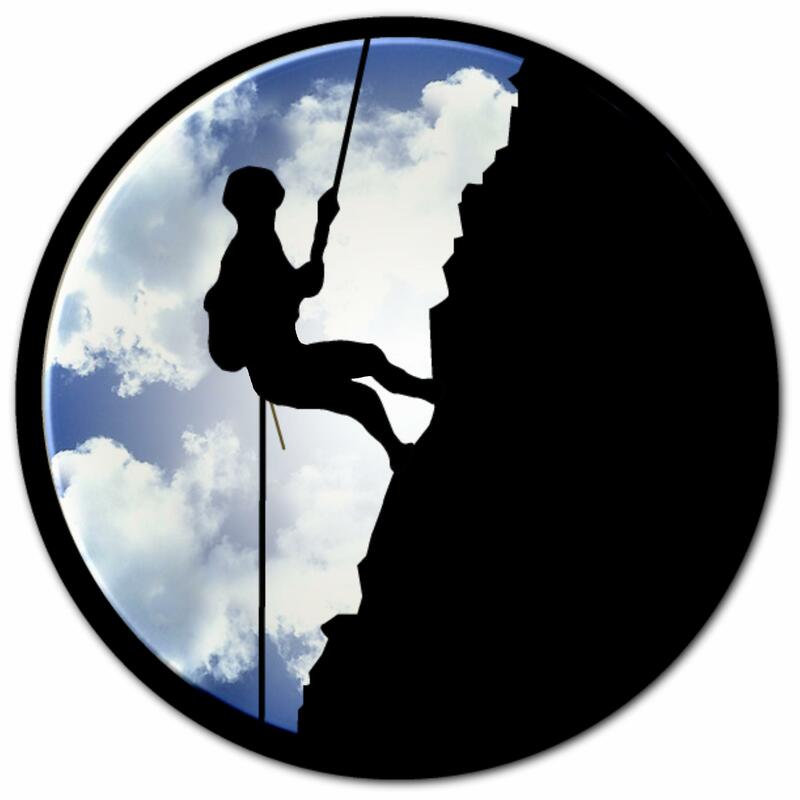 We specialize in Team Building training, Outdoor Education programs, Personal, Social and Leadership development, adventure birthdays and adventure fun. Outdoor Educators is a business with a Christian ethos but we welcome and work with all groups. We are flexible in the design of programs, and welcome your requests and input. It is important that they meet YOUR objectives to ensure optimum benefit of your group during every experience. 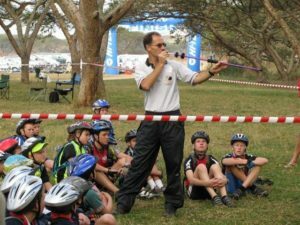 Although programs and activities make provision for many practical experiences, personal safety of participants is a top priority throughout the event. Groups are small with manageable numbers to ensure individual attention and for safety reasons. We aim to work with people as individuals and strive at the developing of every person through enjoyable learning experiences, and to relate experiences and learning moments to real life situations (the work place, family life, relations, etc.). Outdoor Educators use skilled presenters and facilitators. Their leader is a person with more than 28 years of hands – on experience in people skills development and training. 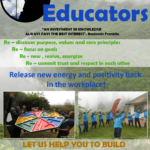 Outdoor Educators’ facilitators are competent, well- trained facilitators/ activity specialists and people with positive values. They have a totally professional, yet friendly and dynamic approach and are fully committed to everything they do. Outdoor Educators is committed to a service of quality and excellence. It is important that you should have unforgettable, educational and fun filled experiences with us.